A native of Australia, Dr. Anne Cooper, D.C., LAc. earned her Doctorate in Chiropractic from Cleveland Chiropractic College (Los Angeles), graduating with Honors in 1997, while on the Dean’s list and winning the Charles Gibson award for clinical excellence. Her growing commitment to total health and innovative healing therapies led her to continue on with over 20 years of post doctoral experience in Functional Medicine and a Masters degree in Acupuncture and Traditional Chinese Medicine, graduating with highest honors in 2011. Early in her career as a celebrity aesthetician working with great beauties such as Ava Gabor, she realized that where there is beauty, there MUST be health and that health must be established on a very deep cellular level. At the Center for Deuterium Depletion, Dr. Cooper actively works with patients through the Cignature Health clinic and guides their day-to-day therapy. She also is the Center’s healthcare professional liaison, helping other clinicians implement these protocols and services into their practices. Her expertise as both an experienced natural and functional medicine practitioner helps bridge any communication gap between the Center’s principal and chief scientists’ training in allopathic medicine and the training received by chiropractors, naturopaths, acupuncturists, herbalists, nutritionists, and other partners in the medical field. A lot of people are struggling to live in our modern world, with all of the chemicals in our packaged foods and the bombardment of electromagnetic frequencies and radiation going through our body every day, but our guest Dr. Anne Cooper helps people get their lives back. Earlier in the week, we talked to the Deuterium Duo, Dr. Que Collins & Dr. Laszlo Boros, about what the heck deuterium is and how it’s contributing to the slow and steady degradation of our bodies on a cellular level. Dr. Cooper is their partner, operating as the Patient Manager and Healthcare Professional Coordinator at the Center for Deuterium Depletion. With expertise as both a natural and a functional medicine practitioner, Dr. Cooper can help both patients and other healthcare professionals understand deuterium depletion. She guides the day-to-day therapy patients go through and bridges any communication gap between the Center for Deuterium Depletion's principal and chief scientists training in allopathic medicine and the training received by chiropractors, naturopaths, acupuncturists, herbalists, nutritionists, and other healthcare professionals. We all deserve the ability to thrive in our world, without being forced to move off the grid. And while there's a lot our society could change to reduce the damage we're causing to our bodies, we can't necessarily control that – but we can start our own internal healing process. Are you looking for ways to reduce the stress on your body? Do you want to assure that your body isn't breaking down by the time you retire? Want to add a few more tools to your biohacking toolbox? 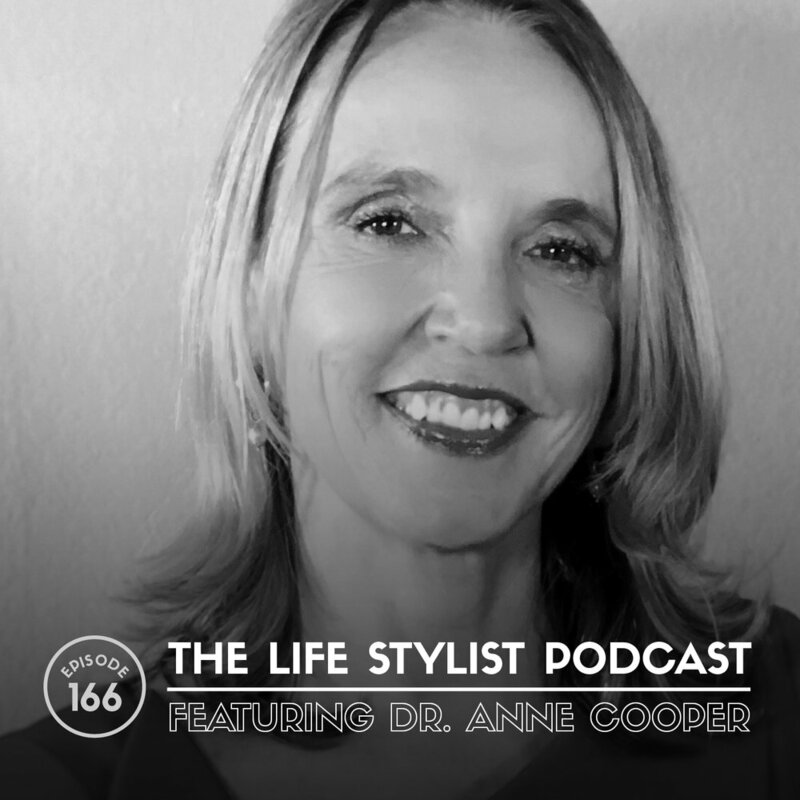 Then you have to check out this in-depth interview with Dr. Anne Cooper. Is fruit bad for us? ORGANIFI. This product has changed the green juice game for me. A green powdered superfood that comes in portable packets perfect for travel, keeping in your car or bag. On-demand instant green juice that is alkalizing, energizing and gives you mental clarity. What else is so special about it? Zero glycemic index & comes with all 11 most important superfoods: turmeric, chlorella, wheatgrass, spirulina, mint, moringa, ashwagandha, lemon, beets, coconut, matcha green tea. Awesome stuff! Save 20% using code “LIFESTYLIST” at organifi.com/luke. TONIC WELLNESS BOUTIQUE. I’m about to let one of my best-kept secrets out of the bag: Tonic Wellness Boutique, the best place for hot and cold relaxation therapies in LA. Everything you’ll find here is proven to simultaneously revitalize the body, improve blood circulation, and help activate the lymphatic system to help detoxification (and if you’re in a city like LA, you have to detox, like for real). On top of that, these methods can help reduce inflammation, improve skin tone, and actively promote the release of endorphins. Check out TonicBoutique.com to learn about all the latest and greatest biohacking tech available to you. You will receive weekly podcast episodes with links to all the resources mentioned for easy “click and go”, intimate behind-the-scenes videos and latest biohack news, event announcements, and SO… MUCH… MORE.